Our tools keep your desk-bound employees safe at work. a toolkit of work breaks for the sedentary employee. 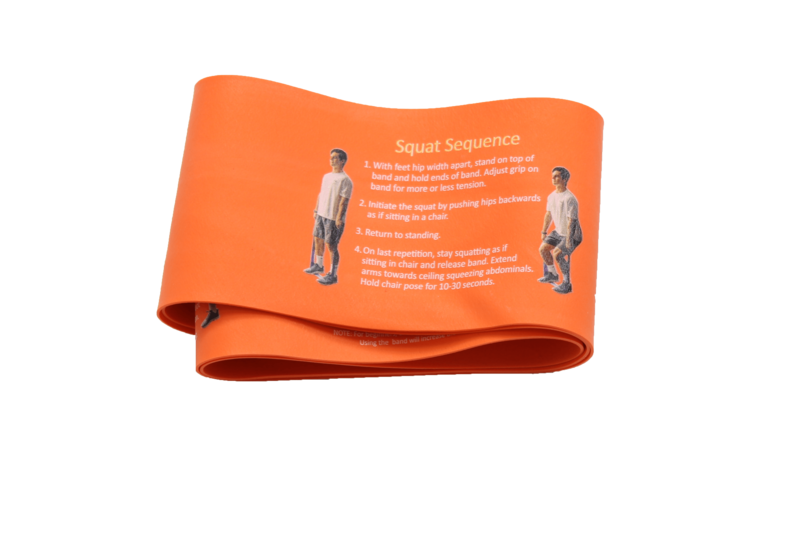 a posture correction tool imprinted ON the band. From quick stretch breaks to micro workouts, employees move purposefully throughout their day. Needing calm? Focus? Energy? Breathing techniques and office meditations are a click away. Healthy desk snacks can make the difference between hitting the 3 o'clock wall or sailing over it! 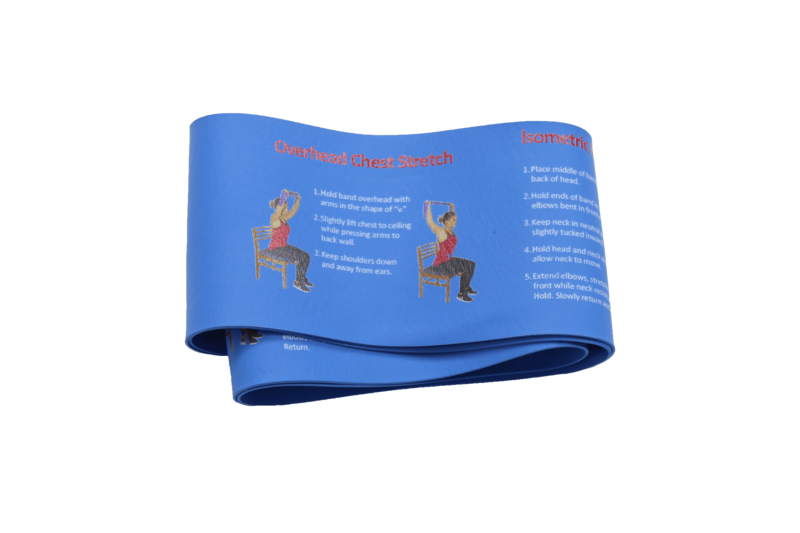 Relieve physical pain with work breaks addressing wrist, back, foot and neck pain. training workout can improve overall functional strength to prevent falls and reduce symptoms of arthritis and back pain. 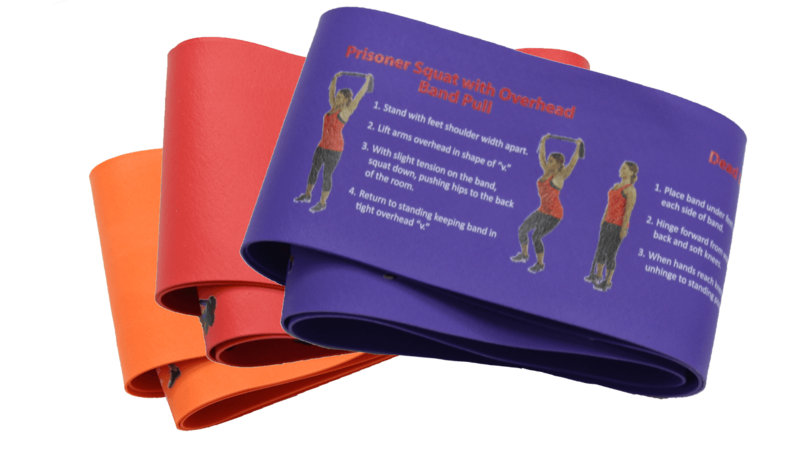 band2FIT for Kids is resistance play at its finest! Not only will your kids' growing bodies develop functional strength and improved balance, but the sensory integration and crossing the midline exercises improve function and attention. can lead to a host of health problems. 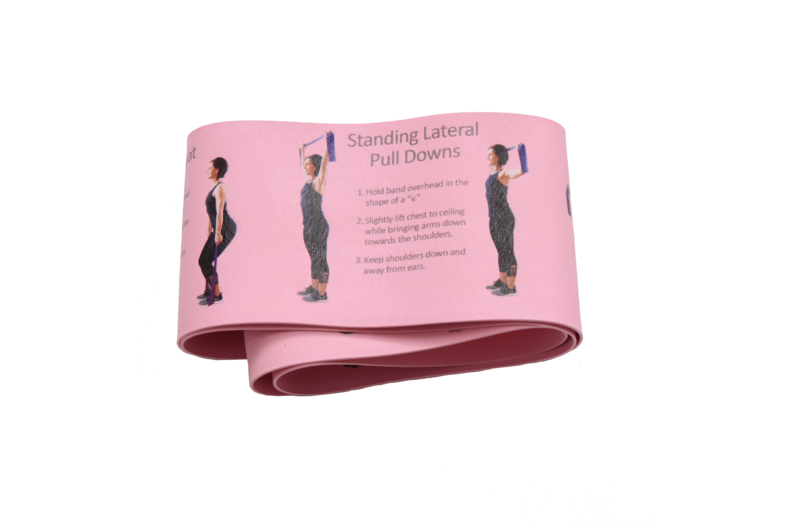 Correct weak postural muscles and learn the mechanics of proper alignment with the band2FIT for Posture. 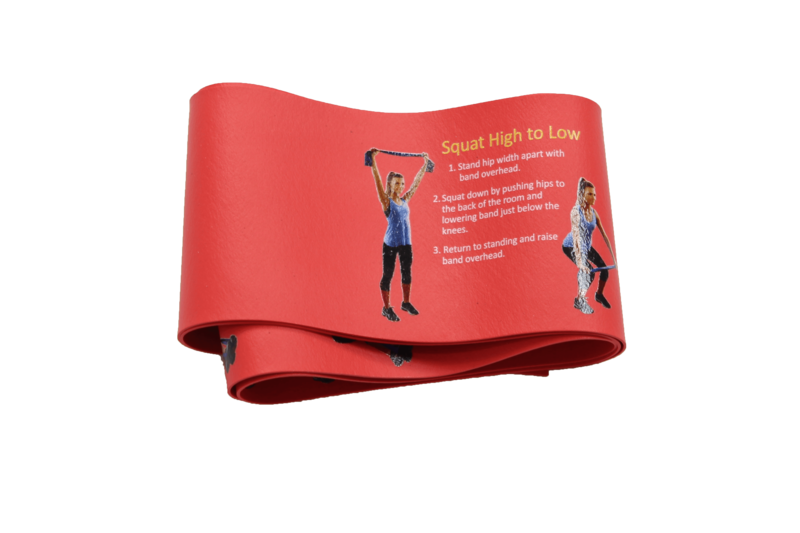 one up wherever, whenever with FIT2order’s total body resistance band workout. 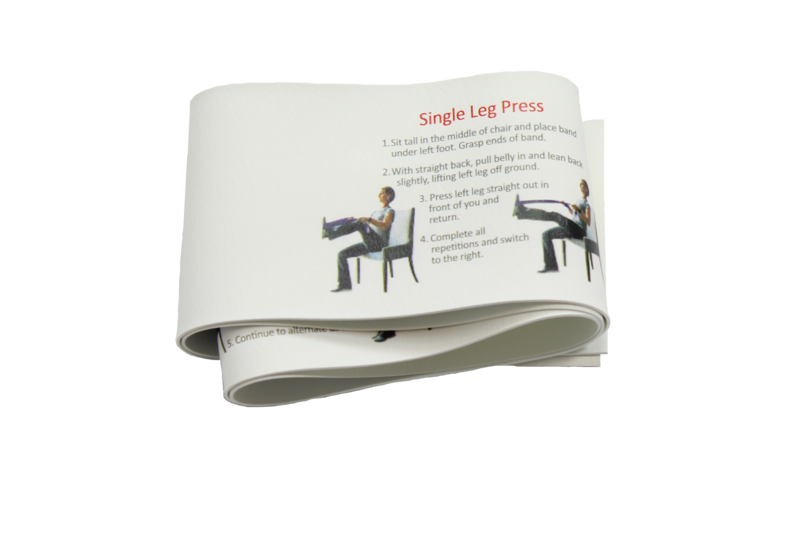 The workout targets every major muscle group and is suitable for ALL FITness levels. 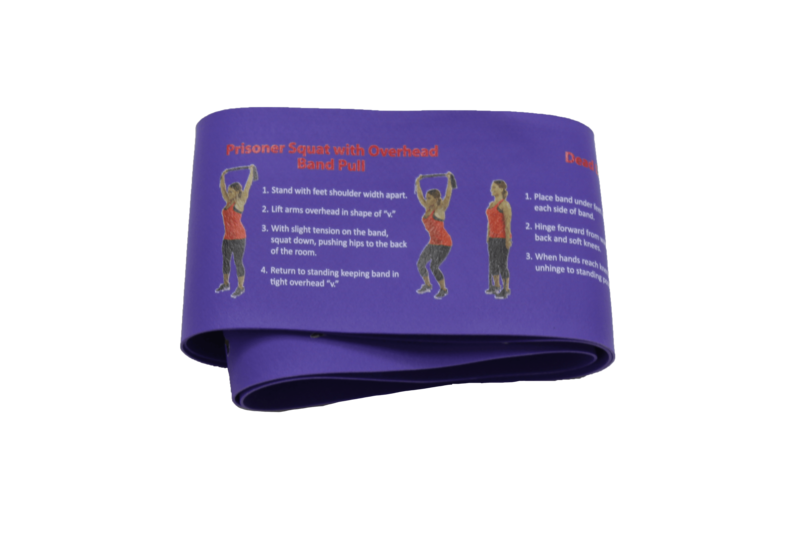 Regain muscle AND bone mass and begin your transition back to health with the progressive circuit workout on the band2FIT for Breast Cancer Recovery. All upper body moves are done unilaterally to allow each side to recover or progress as needed. When it Comes to Changing Sedentary Behavior, We THINK SMALL. Because even the smallest of changes one employee makes--like taking work breaks--can inspire fellow coworkers to do the same. This Ripple Effect can have an enormous impact on the health of your employees AND your bottom line. "Our experiences with FIT2order have been nothing but POSITIVE!!! Everything from being the healthiest company in Baltimore one year to getting a 49% reduction in back claims the next – it’s been wonderful and the employees loved it. FIT2order has great plans for both office and shop floor personnel. And YES, guys like yoga!" "It has been a true pleasure working with FIT2order-Seated Serenity Yoga since 2014! The time and attention that they give to our breast cancer survivors and their families during each session is so meaningful, because after every session, each participant is equipped with varying relaxation, stretching, meditation and breathing techniques that can be duplicated at home in a chair. Not only will the breast cancer survivors experience the physical benefits of this type of yoga but the emotional benefits are apparent as well – promoting total healing. Thank you, FIT2order for offering such a wonderful program to breast cancer survivors and their families here at Northwest Hospital." "Our employees absolutely loved the “we’ve got your back” boxes. They were a huge hit! Stacy made it so easy by delivering them to our office. The workshop that she presented was very well received and appreciated. FIT2Order rocks! We look forward to our continued partnership. " "Stacy and Pattie, We have received wonderful feedback from the employees and specially from [the HR staff]. Although we have held these events for several years I thought the look and feel of this year’s event was different. I want to compliment the both of you and your team for their enthusiasm and true interest they showed towards the employees... I know you are excited and we are too about the potential opportunities we have to help promote the health and wellness of [my clients’] employees. " "Thank you for the resistance bands! 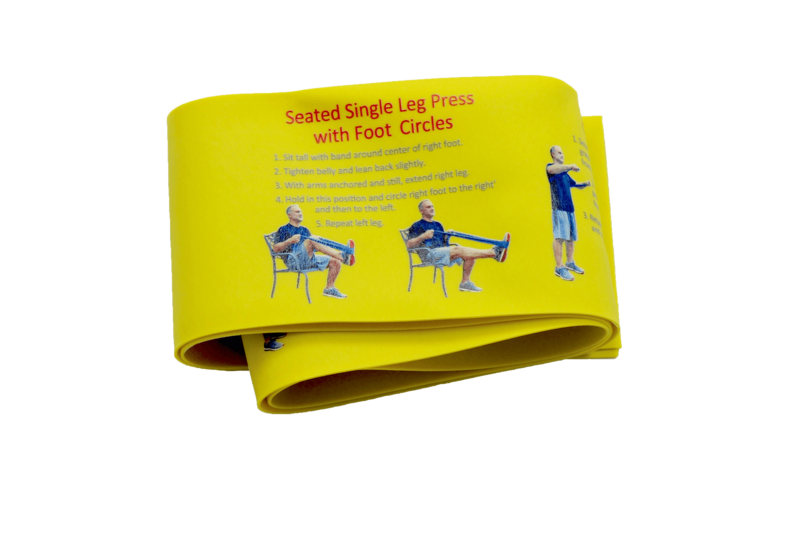 So great to have an easy exercise tool that we can use in the office while working. " Toss your pebble and start a ripple of wellness...contact us. See how we can help you create a FIT Work Lifestyle.